Alexander Rose Cordial Stainless Steel Chair: The Cordial Stainless Steel Chair by Alexander Rose comes in this contemporary, straight top design which would look wonderful on the patio or decking area. 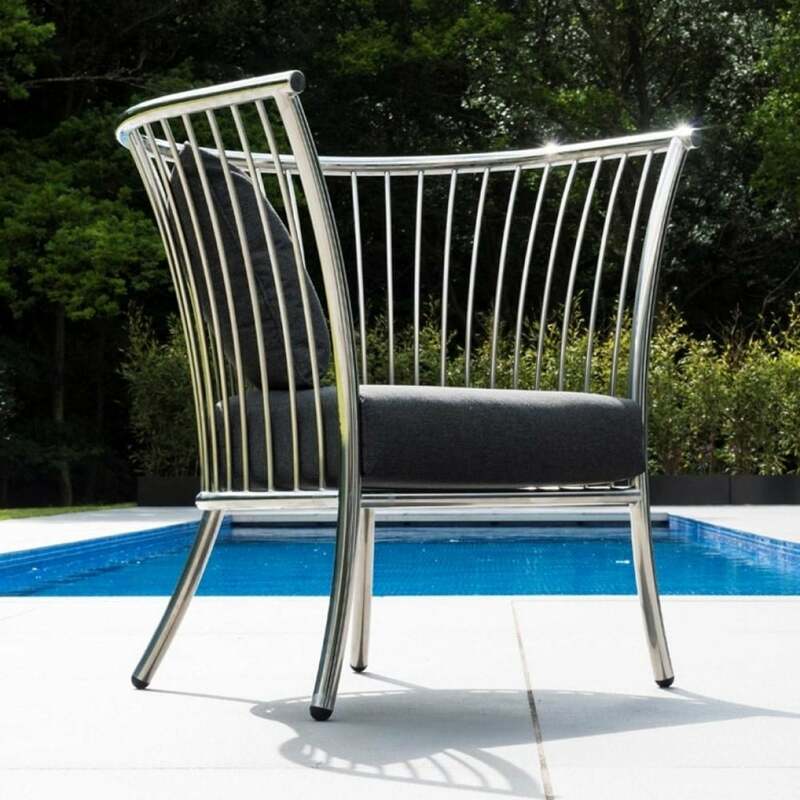 The Alexander Rose Chair features a beautifully curved frame made from tubular, electropolished stainless steel for a sturdy structure with a supportive frame and includes a 10 year manufacturer’s warranty to ensure many years of use. The Cordial Steel Chair also includes a deep grey seat cushion with a scatter cushion for added comfort when relaxing outside and a waterproof design which can be left outside.